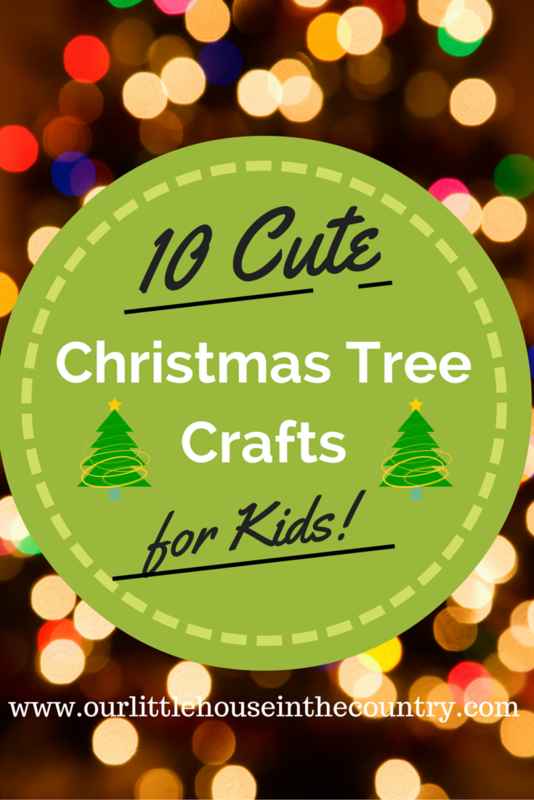 10 of my favourite Christmas Tree Crafts for Kids! 1. Scrap Ribbon Tree Ornament (Fireflies and Mudpies) – a delightful ornament made from scraps of ribbon and twigs! 2. Pom Pom Painting Christmas Tree Craft fro Toddlers (Fantastic Fun and Learning) – a simple and fun Christmas activity fro very young kiddies! 3. 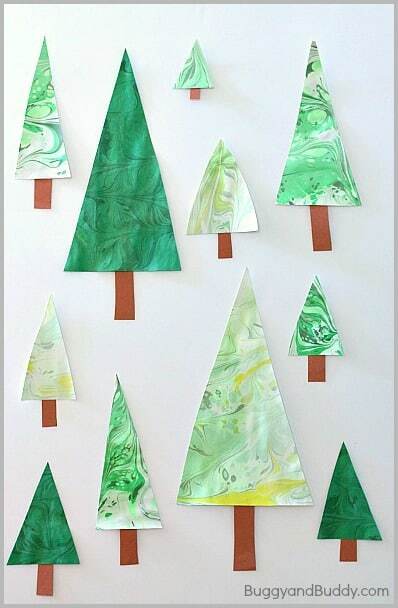 Marbled Christmas Tree Craft (Buggy and Buddy) – step by step instructions on how to make your very own marbled Christmas trees! 4. 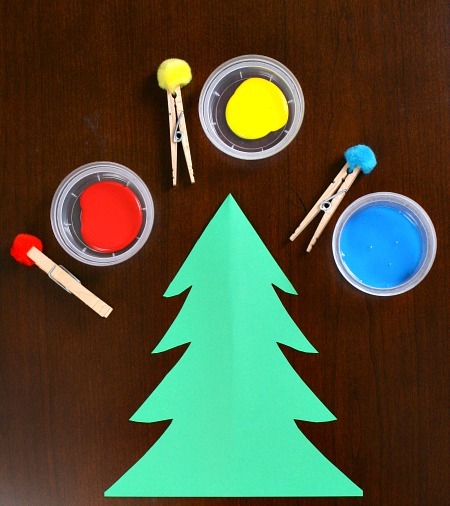 Lolly Pop Stick Christmas Trees (Jenifer Boatwright for Scholastic) – a colourful and sparkly fun tree to make! 5. Pine Cone Christmas Tree (Crafter’s Delights) – such a great use for pine cones! 6. 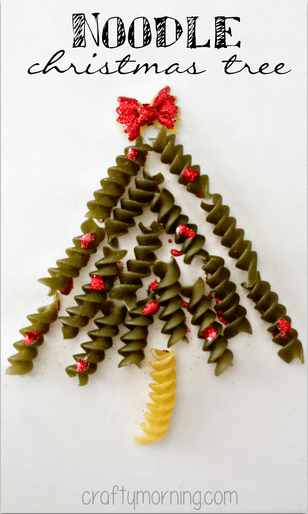 Pasta Noodle Christmas Tree (Crafty Morning) – such a cute idea – perfect for little ones to try! 8. Felt and Button Christmas Tree Ornament (Hands On As We Grow) – these would make a lovely addition to your tree as well as being the perfect keepsake for years to come. 9. 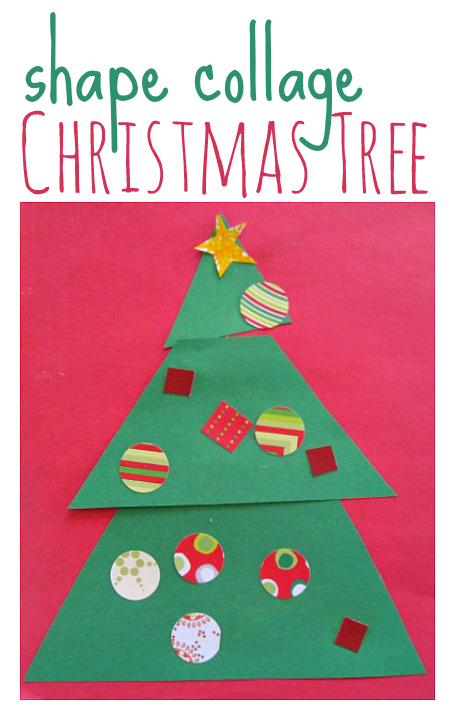 Shape Collage Christmas Tree (No Time for Flash Cards) – this is a perfect activity for home or the classroom! 10. Paper Plate Christmas Tree Garland (1 Pure Heart) – I think we may try this to decorate our playroom! 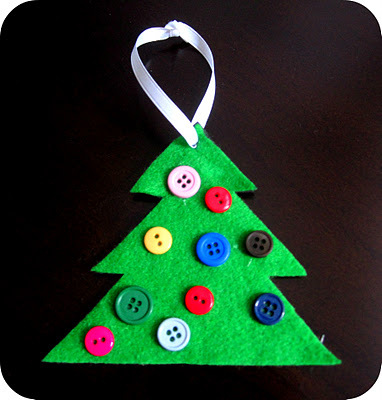 For lots more Christmas Tree Crafts and Activities check out our Pinterest Board! 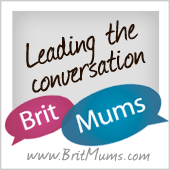 I love your ideas here. the twig and ribbon idea really inspired me, I’m going to do this with floristry ribbons I have with the children here at Coombe Mill over Christmas, thank you for a great idea.